The Association of British Drivers (ABD) is a libertarian transport lobby group which claims to speak as "the voice of the driver" on a wide range of driving related issues such as opposition to road tolls and road tolls and congestion charging. On its website the ABD states that they advocate "environmental policies based upon sound science rather than politics and hysteria." Their environmental spokesman is Paul Biggs, a widely published climate change skeptic. The ABD is a member of the parliamentary advisory council on transport safety (PACTS). When questioned about the ABD, the council's executive director, Rob Gifford, commented: "They are basically libertarians. They turn up at our meetings and make a nuisance of themselves" . The organisation has become ubiquitous in media debates on transport in Britain, particularly on the issue of speed cameras, even claiming that the cameras "cause road deaths" . The head of road policing for the Association of Chief Police Officers, Richard Brunstrom, is a leading advocate of speed cameras: "Some of the attacks by groups like the Association of British Drivers are so clearly crazy that it helps to cement an alliance in your favour. It's like having the BNP come out against you." ] Brunstrom is regarded by many as an eccentric and the ABD have a web page dedicated to him . John Stalker (ex-Deputy Chief Constable of Greater Manchester Police) once said:"What have the good people of North Wales done to deserve a Chief constable like Richard Brunstrom?" On its website the ABD states that "have you noticed how most car orientated websites now have a section on the ubiquitous 'environment'? You could be forgiven for thinking it is a compulsory subject. It is in fact the latest form of political correctness. Green activists have succeeded in brainwashing many people into accepting that the 'environment' is the new god before whom we must all bow down in submission. Well our environment page is different. Our page does not use the 'environment' as a weapon against drivers, our page tells the truth. Find out how emotive scaremongering about pollution and man-made 'global warming' are being used to intimidate you out of your car." 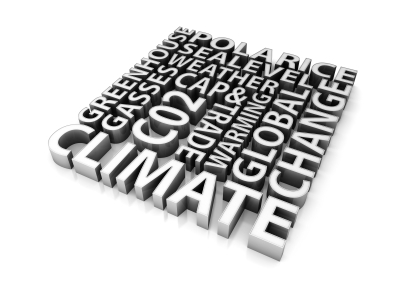 The ABD is a vocal denier of climate change research. Paul Biggs publishes a blog and contributes to many discussions, both on the web and in print. The ABD was incorporated as "Pro-Motor", company number 02945728, on 5 July 1994. ↑ "Association of British Drivers", Association of British Drivers website, accessed October 2009. ↑ "About the ABD", Association of British Drivers website, accessed October 2009. ↑ They call themselves the voice of the driver. But who do they really represent?. ↑ "Environment", Association of British Drivers website, accessed October 2009. This page was last edited on 28 October 2009, at 07:43.